Sun., April 15, 2018 11:00 p.m. | Sunday, April 15, 2018 11:00 p.m. Runners will line up Monday to compete in the 122nd annual Boston Marathon — which five years ago was marred by a bombing that killed three people and injured more than 260. 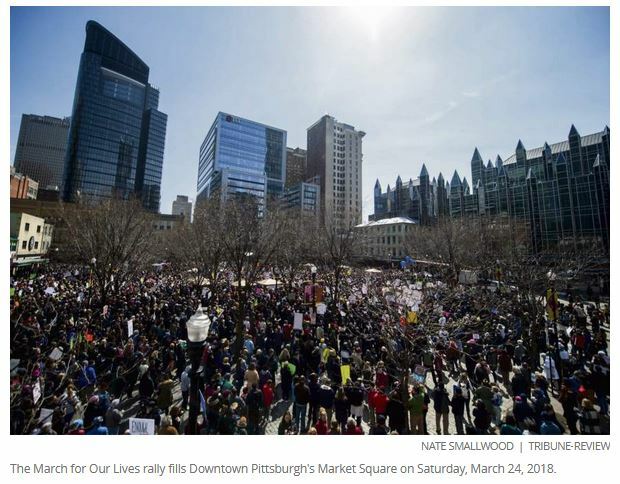 The Tribune-Review talked with several people with ties to Pittsburgh and Western Pennsylvania who were in the tragic 2013 race and who plan to be there today. 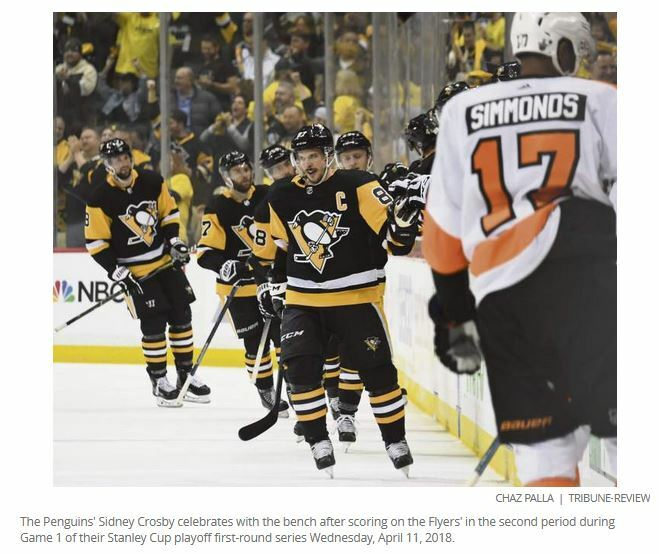 The Penguins continue their quest for a third consecutive Stanley Cup championship against the Philadelphia Flyers. Pittsburgh leads the best-of-7 first-round series 2-1. Since the Feb. 14 school shooting in Parkland, Fla., students across Western Pennsylvania and the country have staged school walkouts and a series of rallies against gun violence and increased school safety. Next up is a national day of action on Friday — the anniversary of the Columbine High School massacre, which happened on April 20, 1999. Two students at the Colorado high school shot and killed 12 classmates and a teacher. Many high schools nationally will participate in Friday’s National School Walkout, which was created by a Connecticut student , according to ABC News. Locally, students at Southmoreland, Mt. Lebanon and Woodland Hills high schools plan to participate in some type of event either during or after school. Saturday is Earth Day, and there are a number of events planned around the region. The Tribune-Review has noted several of them here . 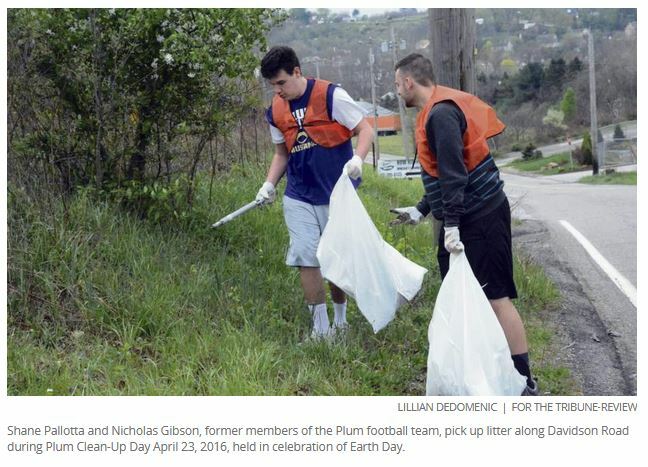 The Winnie Palmer Nature Reserve at Saint Vincent College will host the 16th Annual Westmoreland Earth Day from 1 to 6 p.m.
Pittsburgh Earth Day will host events from Wednesday through Saturday, including a fashion show, sustainability business breakfast and, of course, various cleanup activities around the city. 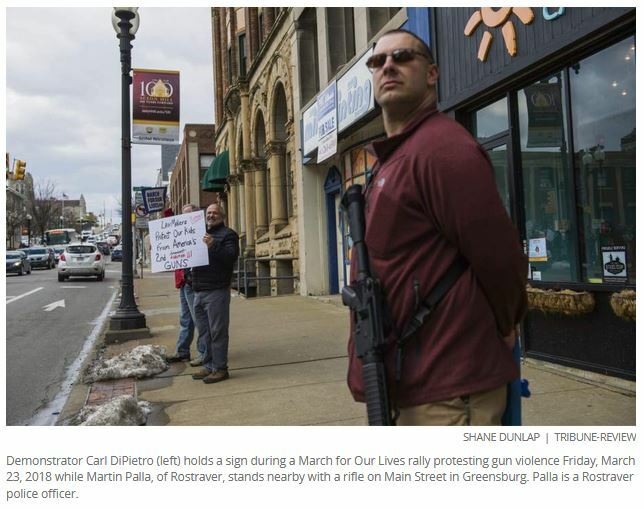 A pro-gun rally is planned this weekend at the Westmoreland County Courthouse to support Rostraver police Officer Martin Palla, who came under fire after toting an assault-style weapon last month at a Greensburg rally calling for an end to gun violence and stricter gun laws. The event will take place from 3 to 7 p.m. Sunday. Legendary former Greensburg fire chief Ed Hutchinson died Sunday morning at age 96. Hutchinson, often called “Hutch,” was known as a community leader whose impact stretched far beyond the city’s fire department. He served as the city’s fire chief from 1953 through the end of 2016. Hutchinson joined the fire department’s Hose Company No. 3 in November 1939. The court showdown over hydraulic fracturing in Penn Township began last week, but it won’t end until June. Nonprofit group Protect PT has challenged the township’s zoning ordinance, which allows hydraulic fracturing wells in both industrial and rural-zoned areas. The group said wells should be limited to industrial zones. The township, its zoning hearing board and gas drilling companies who do business there say the township’s ordinance includes protections for residents, and that legal precedent set in other Pennsylvania communities allows fracking in agricultural zones. A Westmoreland County judge is to conduct two final hearing days in early June.